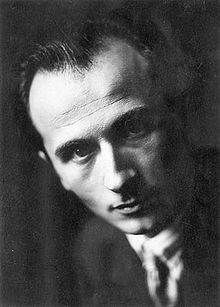 On this date in 1937, the Italian anarchist Camillo Berneri was kidnapped from his home by in Barcelona by armed paramilitaries. Berneri was shot that night. Berneri (English Wikipedia entry | Spanish | timeline) had once been a University of Florence professor, but was forced into exile for opposing the fascist conquest of power in Italy. When a coup threatened a similar right-wing conquest of power in Spain, Berneri organized the first column of Italian volunteers to oppose it. International brigades poured into Spain to fight for the Republican government, but not everybody in the “popular front” was on the same side — a fact which became horrifyingly clear during Barcelona’s “May Days”, a week of internecine bloodletting in Republican Catalonia. Anarcho-syndicalists of the CNT party and anti-Stalinist communists of POUM were the ones whose blood was mostly let; indeed, it might better be called a purge. The Moscow-backed Communist Party opposed the power of its putative comrades as much as or more than that of Franco. During the May Days, the Communists’ Catalan ally, a party called the PSUC, essentially took over Barcelona with the help of thousands of Assault Guards and killed, arrested, or dispersed the anarchists and Trotskyites. The British writer George Orwell served in a POUM unit, and the last third or so of his Spanish Civil War memoir Homage to Catalonia attempts to make sense of the chaotic scene. Smitten when he arrived in Barcelona the previous December — “the first time that I had ever been in a town where the working class was in the saddle”* — the writer scoffed at the Communists’ official justification that anarchists and friends were a “counter-revolutionary” element, or even in actual league with their nationalist enemies. It seemed queer, in the barber’s shop, to see the Anarchist notice still on the wall, explaining that tips were prohibited. ‘The Revolution has struck off our chains,’ the notice said. I felt like telling the barbers that their chains would soon be back again if they didn’t look out. I wandered back to the centre of the town. Over the P.O.U.M. buildings the red flags had been torn down, Republican flags were floating in their place, and knots of armed Civil Guards were lounging in the doorways. At the Red Aid centre on the corner of the Plaza de Cataluña the police had amused themselves by smashing most of the windows. The P.O.U.M. book-stalls had been emptied of books and the notice-board farther down the Ramblas had been plastered with an anti-P.O.U.M. cartoon — the one representing the mask and the Fascist face beneath. Down at the bottom of the Ramblas, near the quay, I came upon a queer sight; a row of militiamen, still ragged and muddy from the front, sprawling exhaustedly on the chairs placed there for the bootblacks. I knew who they were — indeed, I recognized one of them. They were P.O.U.M. militiamen who had come down the line on the previous day to find that the P.O.U.M. had been suppressed, and had had to spend the night in the streets because their homes had been raided. Any P.O.U.M. militiaman who returned to Barcelona at this time had the choice of going straight into hiding or into jail — not a pleasant reception after three or four months in the line. Also a fighter of the liquidated POUM, Orwell too was proscribed: he had a job to make it out of Barcelona without winding up in someone’s dungeon or firing range. His disgust with what revolutionary Barcelona had come to would help to inform his subsequent anti-Soviet literary efforts. Berneri, too, was an outspoken anti-Communist. Long a major intellectual in the anarchist camp, he was clearly targeted by name, and hauled from his house along with his brother-in-law Francesco Barbieri by a death squad. Their bodies turned up riddled with bullet holes the next morning. There’s a collection of Berneri’s writings in English translation here, including one piece dated to the very day of his disappearance; also see this pdf of Berneri’s work. He was survived by his daughter, Marie-Louise Berneri, who herself became a noted anarchist activist of the 1940s.